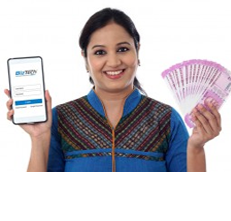 The domestic money remittance payment option is Apna Recharge's solution to the domestic transaction. What makes our domestic money transaction fair better than the rest of the competition is the transparency and reliability we maintain with our clients. Domestic transactions, as the name suggests are the transaction you make locally towards your office, school or to your family in under a defined area.